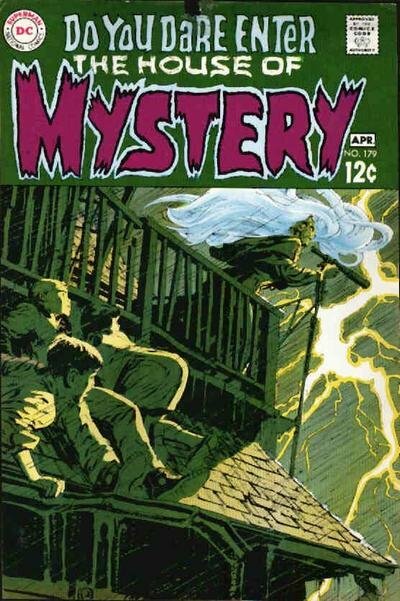 Click Here To See House of Mystery #179 Comic Book! Check out this very nice 1969 SILVER AGE DC HORROR page, which was penciled by the great Neal Adams, and inked by the great Joe Orlando, from the story titled: "The Widow's Walk!" This nice page is from the story where Mary Bourne places a curse on her husband Angus that he may not return to harbor until the day she dies! 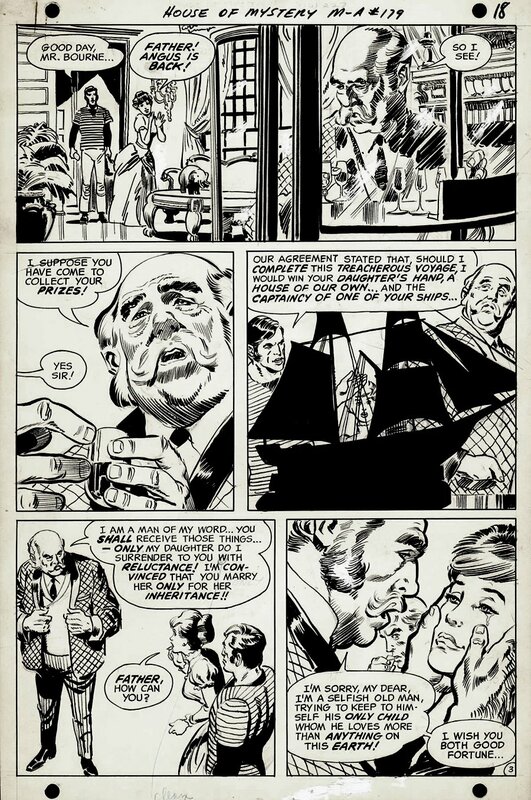 This Neal Adams DC horror page dates from very early in the acclaimed artist's career for the publisher. Adams' fresh, realistic style brought a new look to DC's line at the turn of the decade and the artist's horror pages are uncommon on the market. This page features nautical themes and includes a very nice image of a ship at sea in the central large panel. SILVER AGE DC Neal Adams pages are VERY hard to find in the hobby these days, so don't miss out on a great opportunity here to own a nice SILVER Age 1969 Neal Adams DC page! ALL art on our website (including this one) are able to be purchased with VERY fair time payments, and trades are always considered towards "ANY" art on our website! Just send us an email to mikeburkey@aol.com and we can try to work something out.